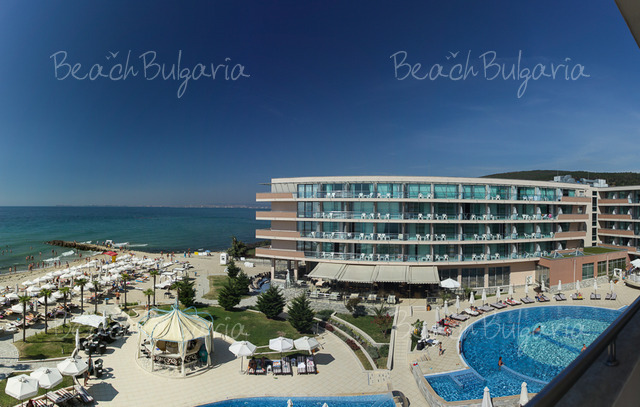 Zornitsa Sands SPA Hotel is located on the beach in Elenite Black sea resort. 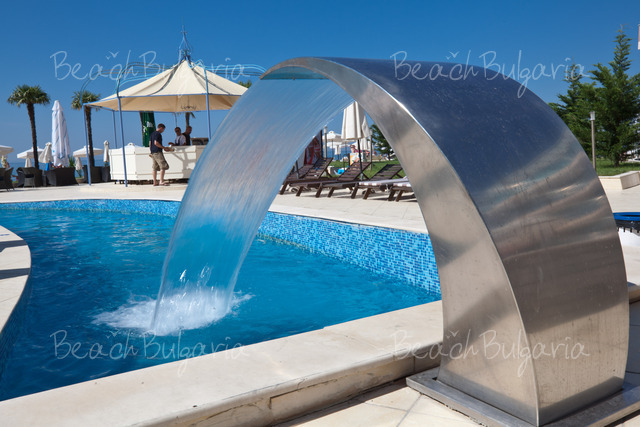 The hotel is located 7 km from Sunny Beach resort and 30 km from Bourgas Airport. There are regular buses to Bourgas, Varna, Sunny Beach and Nessebar. Standard rooms are 20-22 sq. m are equipped with telephone, air conditioning, satellite TV, a sofa chair, a desk and mini bar. All double rooms are with a sea view and sunny terraces with balcony furniture. 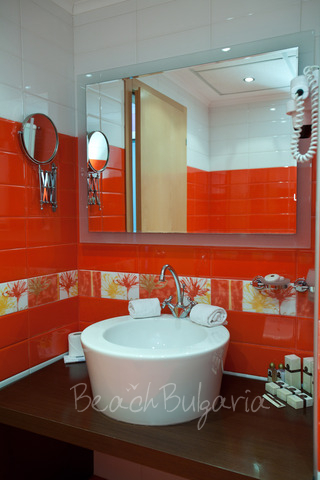 The bathrooms in the standard double rooms are with a bathtub, a shower, a hairdryer and toiletries. Double lux frontal sea view /22 sq. m/ are located around the swimming pool of the hotel and have a balcony with a sea view, furnished with balcony chairs and a table, an electronic safe, mini bar, a desk, a sofa chair, telephone, TV and a bathroom with a bathtub and a shower, a hairdryer and toiletries. The renovated family rooms /22 sq. m/ are furnished with two twin beds and 2 sofa chairs. They are equipped with telephone, air-conditioning, satellite TV, desk and mini bar. All family rooms are with a sea-view - frontal or side sea view, sunny terraces with balcony furniture and they are perfectly suited for families with two children or three adults and one child. The bathrooms in family rooms are with a bathtub, a shower, a hairdryer and toiletries. Suite Side-Sea View and Suite Frontal Sea View /60 sq.m./ are designed primarily for families with children. They consist of two separate rooms – a bedroom with a bathroom and a living-room with adjoining doors and two separate bathrooms with toiletries, one of which has a bathtub with a shower and a hairdryer. 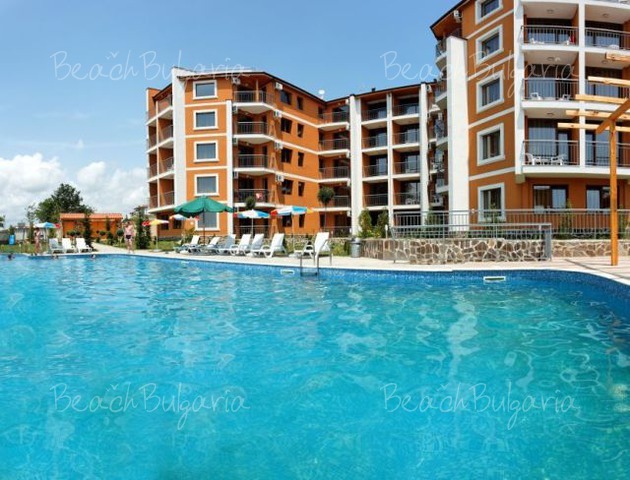 The apartments have a large terrace of 30 square meters, furnished with balcony furniture. They are equipped with an electronic safe, mini bar, a sofa, a desk, air conditioning, telephone and satellite TV. Junior Suite Frontal Sea View /70 sq. m/ features spacious terrace with a sea view, electronic safe, plasma or LCD TV, remote control lighting, mini bar, telephone and air conditioning. These apartments consist of a bedroom in a stylish design and a living room area with a sofa, a bathroom with a bathtub, telephone, a hairdryer and a cosmetic mirror. Junior Suite Delux /90 sq.m/ features the same facilities as Junior Suite Frontal Sea View, but in addition there are spacious bedroom, a designer decorated romantic bath in an antique style, and a living area with a sofa, combined in one space, tastefully separated by a glass partition and dynamic lighting. The hotel provides the guests staying at Junior Suite Delux free services – sauna, gym, steam room and a tent on the beach. Imperial apartment has a spacious terrace and beautiful furniture and a view to the sea and the hotel beach. It is equipped with an electronic safe, a plasma or LCD TV, remote control lighting, a desk, mini bar, telephone and air conditioning. The Imperial apartment bathroom is equipped with a shower, telephone, a hairdryer, a cosmetic mirror and a luxury set of toiletries. 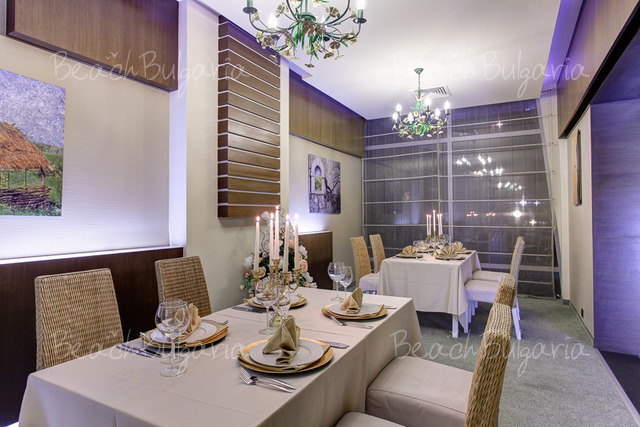 Zornitza Sands SPA offers 2 luxury restaurants. 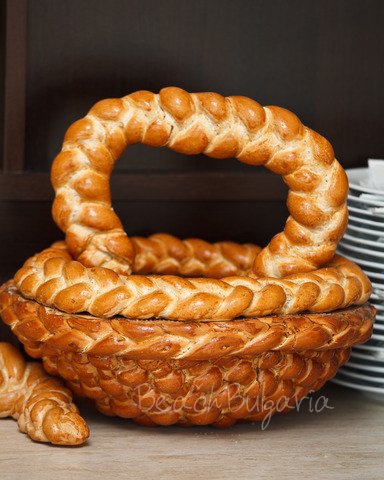 The main restaurant offers Bulgarian and international buffet, various theme nights with international dishes from Bulgarian, Russian, Mediterranean cuisine. The à la carte restaurant offers sea food. The hotel features 3 bars – lobby bar, pool bar and nightclub with karaoke program. 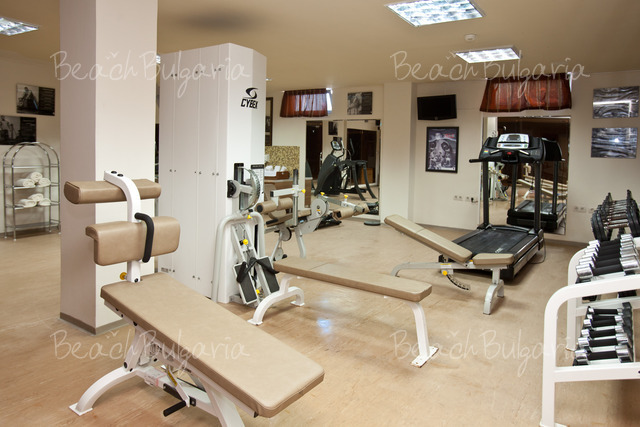 The SPA center offers two swimming pools, fitness, vitamin bar, hammam, sauna, steam bath, massage room, beauty salon, spa procedures and programs. A multifunctional fully equipped conference hall /60 seats/ is an ideal place for conferences, seminars and presentations. 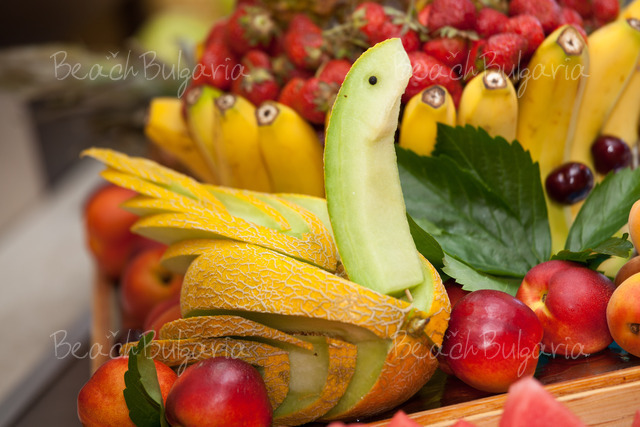 A team of professional animators organize various themed shows for children and adults. The daily program includes yoga, stretching, beach volleyball, water polo, darts, aerobics, water gymnastics, coloring shirts, chess with large figures, etc. The evening program includes children’s disco, bingo, various games and competitions, spectacular show programs. The complex offers kindergarten, children’s pool, play pen, nonstop room service, laundry, ironing, WI-FI in the lobby, safe, entertainment evenings, bicycle rentals, sports and entertainment events, billiards, table tennis, beach volleyball field, concierge, equipment transfer to and from airport, medical office, Internet room, currency exchange, shop. 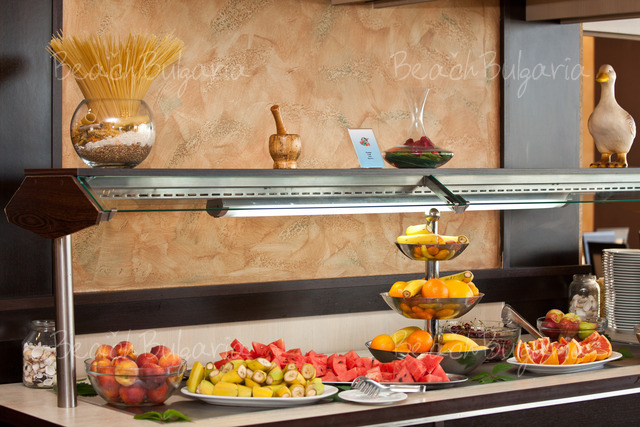 * The rates are in Euro per room/apartment per night breakfast, lunch and dinner (FB). 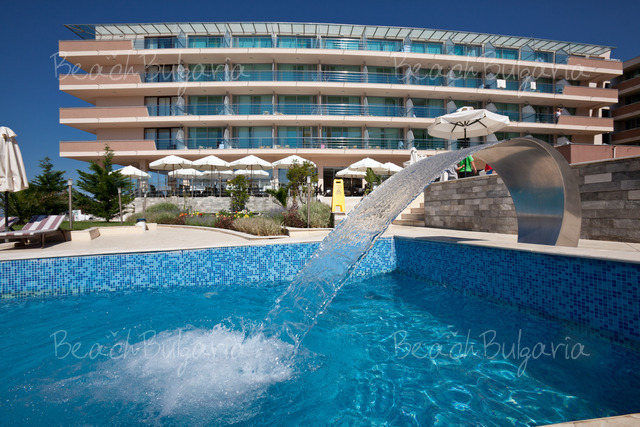 Guests of the hotel can use swimming pool, sun beds and parasoles by the pool and on the beach, wi-fi internet, animation and parking for free. * Cancellations can be made free of charge providing details of this are received at least 7 working days prior to check-in time on the day of arrival and 14 days during 08 July - 28 August 2019 - cancellations made after this period will incur a fee equivalent to the cost of two night's accommodation. 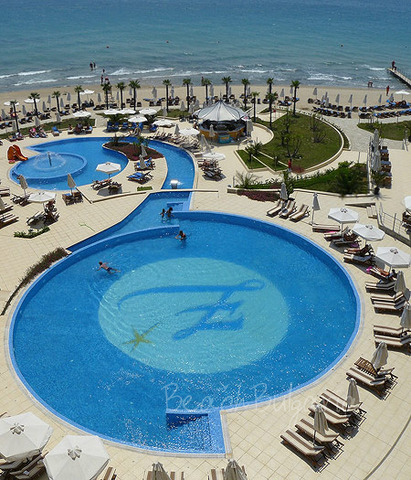 Please, post a comment on Zornitsa Sands hotel. In hotel Zornitsa Sand was terrible Restaurant Service, klima horrible - the tempaerature inside the Hotel was more than 30 C, in our Room about 28-30 C, the klima run all day but not enough. Me a my son get heatstroke. The sea - horrible with a lot of water plant, this plant was on the beach and smell bad. We was 10 days before in Casablanca hotel in Obzor, 4* hotel with a lot better servis than Zornitsa Sand. 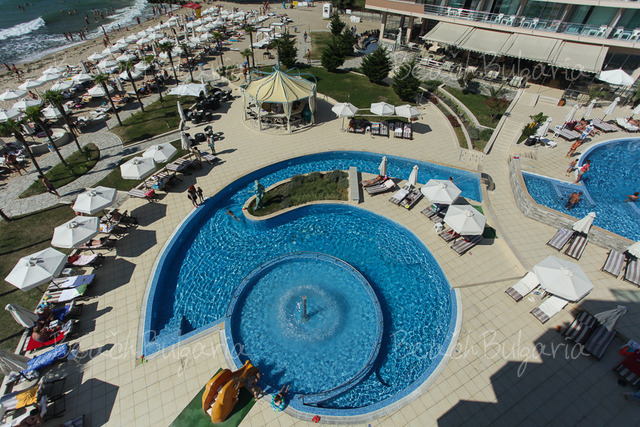 Never more 5* hotel Zornitsa Sand. 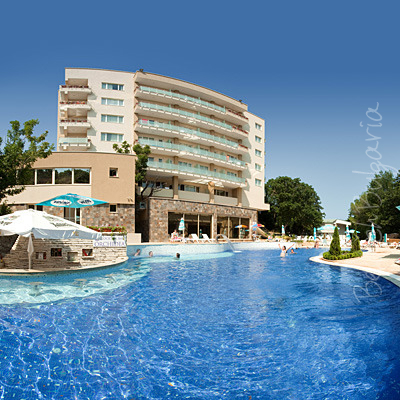 my family and i stayed in 5* hotel in zornitsa Sands, Elenite about 1 week. 1st day then we came in the hotel, reception took our pasports and didn't come back all week.The hotel is a perfect for families with childs. It has a super organized animation team. So we are very happy for the hotel, just we have a one claim for reception staff: then we left the hotel, the administrator didn't come back our 3 pasports, so we missed our flight to vilnius:(((So we had a lot of nerves, stress in varna airport, and, of course, spent a lot of money for a new tickets.